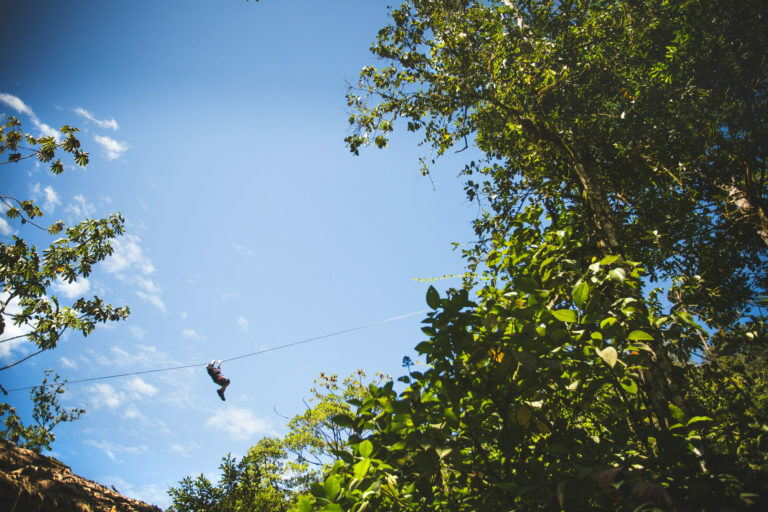 Your adventure begins with a gentle ascent through the jungle canopy on a cable car. From here, you can gaze out into the dense winding greenery to spot the tropical birds, and even spy a sloth waking up from his slumber. You’ll hear the monkeys in the distance, and their chanting adds to the excitement building as you edge higher and higher through the trees. At the top, it’s time to buckle up, and take a leap of faith! 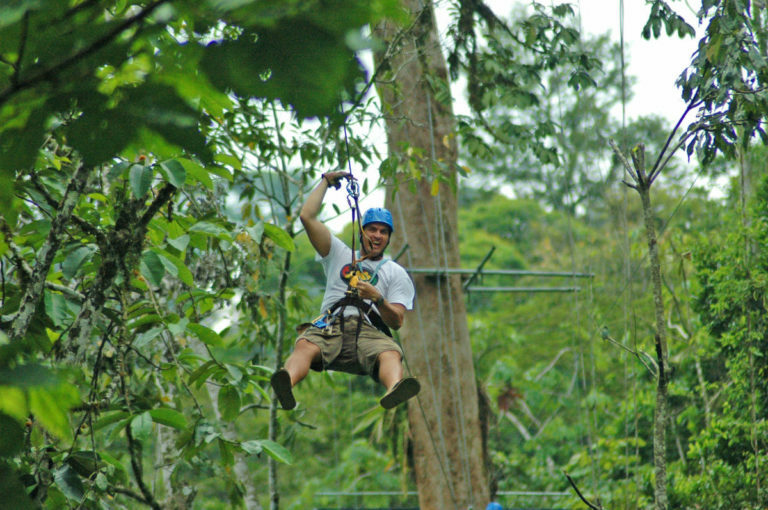 The zip line will take you flying between the mountains, through the canyons, and along the top of the jungle canopy! Make sure you keep your eyes wide open, otherwise you’ll miss the vibrant colours of the jungle as it speeds past you!